Aim and Focus Karate After-School Program 2017-18 school year | Aim and Focus Karate Camp | Kwaddle | Enrichment For Kids. Better For Parents. We are very excited about the unique programs we have to offer, and we feel you will be as well. The After-School Program is a structured learning environment in partnership with martial arts training that will challenge your children both mentally and physically. Our program offers a challenging, exciting and fun environment for our students. 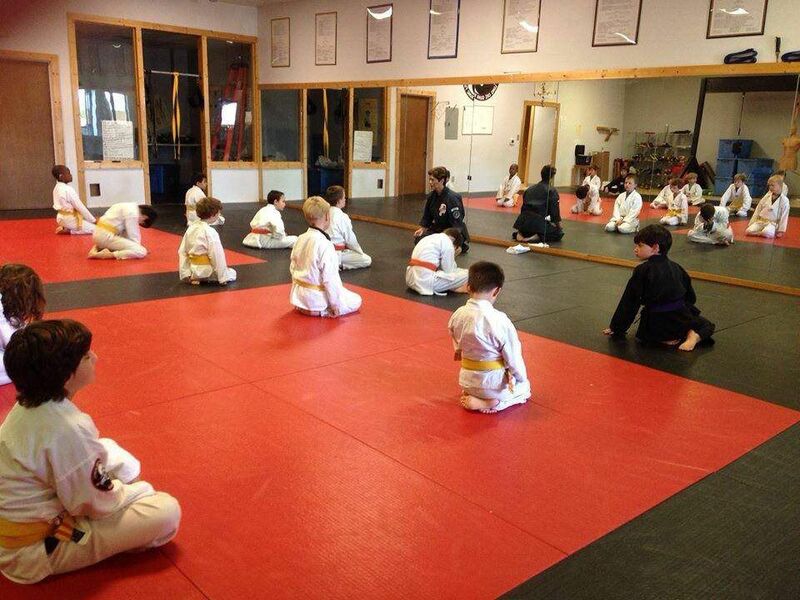 The martial arts framework offers a unique way to teach focus, discipline, confidence, respect for others, self-respect, commitment, concentration, peer pressure skills, ability to follow directions and proper etiquette. All of the above are necessary tools for our children to cope with an ever-changing world. We have outstanding staff at Aim and Focus Karate. 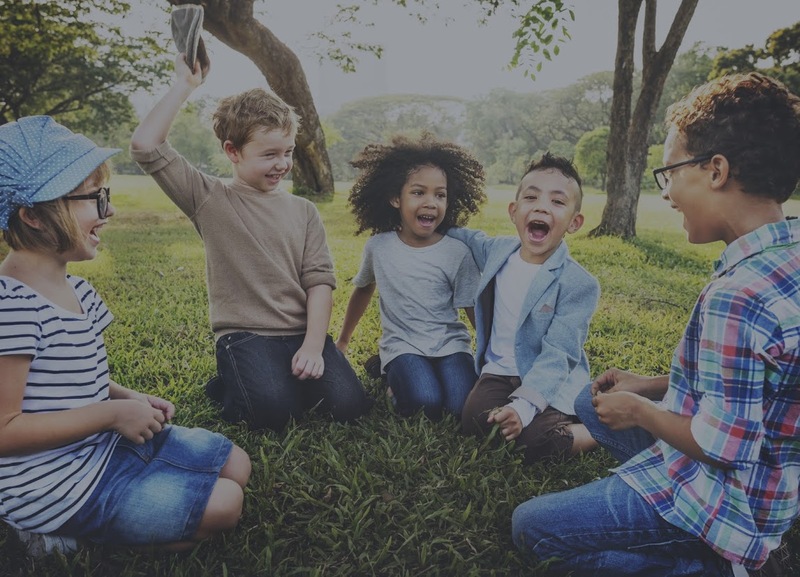 Our staff is a combination of people who love working with children and those with martial arts skills (that also love working with children ). All of our staff have current CPR and First Aid training as well as training specific to working with your child. Highlights of our After-School Program: Daily martial art classes (not just a few a week) Advancement in color belt rank Highly structured environment Archery Program available to those students wishing to participate Homework time (dedicated homework “quiet” room) Computer lab is available for students (appropriate parental controls in place) Respect, Discipline and Self Esteem are VERY important The After-School Program at Aim and Focus Karate teaches discipline and respect but it also includes a lot of fun. The children learn by example from the instructors and get lots of hands-on experience with everything we teach. When you tour our facility you’ll hear “yes sir” from the students…but they will be saying it with pride and enthusiasm. They are learning that respect is a two way process and should always be extended to others. Registration Deadlines Registration for After-School begins on Friday, March 17th this year. Note: We are expecting the program to be full this school year. Please register as soon as possible. We would hate for current students to miss out on this opportunity but we will not overbook the program. Tuition and Fees Aim and Focus Karate operates on a budget, just like every other business and home. We count on receiving payments on time to ensure we satisfy our obligations. For that reason we have established a policy concerning payment and tuition fees. Tuition for students previously enrolled at Aim and Focus Karate is $275/month. Tuition for new students enrolling in our program for the first time is $315/month. If a sibling(s) is also enrolling, the tuition for the additional family member(s) is reduced $50/month (per student). We offer a discounted tuition rate for current students in appreciation for their dedication and support of our program. Aug. 21, 2017-Aug. 25, 2017 | 8 p.m. - 11 p.m.
Sept. 6, 2017-Sept. 10, 2017 | 8 p.m. - 11 p.m.
Sept. 7, 2017-Sept. 11, 2017 | 8 p.m. - 11 p.m.
Sept. 8, 2017-Sept. 12, 2017 | 8 p.m. - 11 p.m.
Sept. 11, 2017-Sept. 15, 2017 | 8 p.m. - 11 p.m.
Sept. 12, 2017-Sept. 16, 2017 | 8 p.m. - 11 p.m.
Sept. 13, 2017-Sept. 17, 2017 | 8 p.m. - 11 p.m.
Sept. 14, 2017-Sept. 18, 2017 | 8 p.m. - 11 p.m.
Sept. 15, 2017-Sept. 19, 2017 | 8 p.m. - 11 p.m.
Sept. 18, 2017-Sept. 22, 2017 | 8 p.m. - 11 p.m.
Sept. 19, 2017-Sept. 23, 2017 | 8 p.m. - 11 p.m.
Sept. 20, 2017-Sept. 24, 2017 | 8 p.m. - 11 p.m.
Sept. 21, 2017-Sept. 25, 2017 | 8 p.m. - 11 p.m.
Sept. 22, 2017-Sept. 26, 2017 | 8 p.m. - 11 p.m.
Sept. 25, 2017-Sept. 29, 2017 | 8 p.m. - 11 p.m.
Sept. 26, 2017-Sept. 30, 2017 | 8 p.m. - 11 p.m.
Sept. 27, 2017-Oct. 1, 2017 | 8 p.m. - 11 p.m.
Sept. 28, 2017-Oct. 2, 2017 | 8 p.m. - 11 p.m.
Sept. 29, 2017-Oct. 3, 2017 | 8 p.m. - 11 p.m.
Oct. 2, 2017-Oct. 6, 2017 | 8 p.m. - 11 p.m.
Oct. 3, 2017-Oct. 7, 2017 | 8 p.m. - 11 p.m.
Oct. 4, 2017-Oct. 8, 2017 | 8 p.m. - 11 p.m.
Oct. 5, 2017-Oct. 9, 2017 | 8 p.m. - 11 p.m.
Oct. 6, 2017-Oct. 10, 2017 | 8 p.m. - 11 p.m.
Oct. 9, 2017-Oct. 13, 2017 | 8 p.m. - 11 p.m.
Oct. 10, 2017-Oct. 14, 2017 | 8 p.m. - 11 p.m.
Oct. 11, 2017-Oct. 15, 2017 | 8 p.m. - 11 p.m.
Oct. 12, 2017-Oct. 16, 2017 | 8 p.m. - 11 p.m.
Oct. 13, 2017-Oct. 17, 2017 | 8 p.m. - 11 p.m.
Oct. 16, 2017-Oct. 20, 2017 | 8 p.m. - 11 p.m.
Oct. 17, 2017-Oct. 21, 2017 | 8 p.m. - 11 p.m.
Oct. 18, 2017-Oct. 22, 2017 | 8 p.m. - 11 p.m.
Oct. 19, 2017-Oct. 23, 2017 | 8 p.m. - 11 p.m.
Oct. 20, 2017-Oct. 24, 2017 | 8 p.m. - 11 p.m.
Oct. 23, 2017-Oct. 27, 2017 | 8 p.m. - 11 p.m.
Oct. 24, 2017-Oct. 28, 2017 | 8 p.m. - 11 p.m.
Oct. 25, 2017-Oct. 29, 2017 | 8 p.m. - 11 p.m.
Oct. 26, 2017-Oct. 30, 2017 | 8 p.m. - 11 p.m.
Oct. 27, 2017-Oct. 31, 2017 | 8 p.m. - 11 p.m.
Oct. 30, 2017-Nov. 3, 2017 | 8 p.m. - 11 p.m.
Oct. 31, 2017-Nov. 4, 2017 | 8 p.m. - 11 p.m.
Nov. 1, 2017-Nov. 5, 2017 | 8 p.m. - 11 p.m.
Nov. 2, 2017-Nov. 6, 2017 | 8 p.m. - 11 p.m.
Nov. 3, 2017-Nov. 7, 2017 | 8 p.m. - 11 p.m.
Nov. 6, 2017-Nov. 10, 2017 | 8 p.m. - 11 p.m.
Nov. 7, 2017-Nov. 11, 2017 | 8 p.m. - 11 p.m.
Nov. 8, 2017-Nov. 12, 2017 | 8 p.m. - 11 p.m.
Nov. 9, 2017-Nov. 13, 2017 | 8 p.m. - 11 p.m.
Nov. 10, 2017-Nov. 14, 2017 | 8 p.m. - 11 p.m.
Nov. 13, 2017-Nov. 17, 2017 | 8 p.m. - 11 p.m.
Nov. 14, 2017-Nov. 18, 2017 | 8 p.m. - 11 p.m.
Nov. 15, 2017-Nov. 19, 2017 | 8 p.m. - 11 p.m.
Nov. 16, 2017-Nov. 20, 2017 | 8 p.m. - 11 p.m.
Nov. 17, 2017-Nov. 21, 2017 | 8 p.m. - 11 p.m.
Nov. 20, 2017-Nov. 24, 2017 | 8 p.m. - 11 p.m.
Nov. 21, 2017-Nov. 25, 2017 | 8 p.m. - 11 p.m.
Nov. 22, 2017-Nov. 26, 2017 | 8 p.m. - 11 p.m.
Nov. 23, 2017-Nov. 27, 2017 | 8 p.m. - 11 p.m.
Nov. 24, 2017-Nov. 28, 2017 | 8 p.m. - 11 p.m.
Nov. 27, 2017-Dec. 1, 2017 | 8 p.m. - 11 p.m.
Nov. 28, 2017-Dec. 2, 2017 | 8 p.m. - 11 p.m.
Nov. 29, 2017-Dec. 3, 2017 | 8 p.m. - 11 p.m.
Nov. 30, 2017-Dec. 4, 2017 | 8 p.m. - 11 p.m.
Dec. 1, 2017-Dec. 5, 2017 | 8 p.m. - 11 p.m.
Dec. 4, 2017-Dec. 8, 2017 | 8 p.m. - 11 p.m.
Dec. 5, 2017-Dec. 9, 2017 | 8 p.m. - 11 p.m.
Dec. 6, 2017-Dec. 10, 2017 | 8 p.m. - 11 p.m.
Dec. 7, 2017-Dec. 11, 2017 | 8 p.m. - 11 p.m.
Dec. 8, 2017-Dec. 12, 2017 | 8 p.m. - 11 p.m.
Dec. 11, 2017-Dec. 15, 2017 | 8 p.m. - 11 p.m.
Dec. 12, 2017-Dec. 16, 2017 | 8 p.m. - 11 p.m.
Dec. 13, 2017-Dec. 17, 2017 | 8 p.m. - 11 p.m.
Dec. 14, 2017-Dec. 18, 2017 | 8 p.m. - 11 p.m.
Dec. 15, 2017-Dec. 19, 2017 | 8 p.m. - 11 p.m.
Dec. 18, 2017-Dec. 22, 2017 | 8 p.m. - 11 p.m.
Dec. 19, 2017-Dec. 23, 2017 | 8 p.m. - 11 p.m.
Dec. 20, 2017-Dec. 24, 2017 | 8 p.m. - 11 p.m.
Dec. 21, 2017-Dec. 25, 2017 | 8 p.m. - 11 p.m.
Dec. 22, 2017-Dec. 26, 2017 | 8 p.m. - 11 p.m.
Dec. 25, 2017-Dec. 29, 2017 | 8 p.m. - 11 p.m.
Dec. 26, 2017-Dec. 30, 2017 | 8 p.m. - 11 p.m.
Dec. 27, 2017-Dec. 31, 2017 | 8 p.m. - 11 p.m.
Dec. 28, 2017-Jan. 1, 2018 | 8 p.m. - 11 p.m.
Dec. 29, 2017-Jan. 2, 2018 | 8 p.m. - 11 p.m.
Jan. 1, 2018-Jan. 5, 2018 | 8 p.m. - 11 p.m.
Jan. 2, 2018-Jan. 6, 2018 | 8 p.m. - 11 p.m.
Jan. 3, 2018-Jan. 7, 2018 | 8 p.m. - 11 p.m.
Jan. 4, 2018-Jan. 8, 2018 | 8 p.m. - 11 p.m.
Jan. 5, 2018-Jan. 9, 2018 | 8 p.m. - 11 p.m.
Jan. 8, 2018-Jan. 12, 2018 | 8 p.m. - 11 p.m.
Jan. 9, 2018-Jan. 13, 2018 | 8 p.m. - 11 p.m.
Jan. 10, 2018-Jan. 14, 2018 | 8 p.m. - 11 p.m.
Jan. 11, 2018-Jan. 15, 2018 | 8 p.m. - 11 p.m.
Jan. 12, 2018-Jan. 16, 2018 | 8 p.m. - 11 p.m.
Jan. 15, 2018-Jan. 19, 2018 | 8 p.m. - 11 p.m.
Jan. 16, 2018-Jan. 20, 2018 | 8 p.m. - 11 p.m.
Jan. 17, 2018-Jan. 21, 2018 | 8 p.m. - 11 p.m.
Jan. 18, 2018-Jan. 22, 2018 | 8 p.m. - 11 p.m.
Jan. 19, 2018-Jan. 23, 2018 | 8 p.m. - 11 p.m.
Jan. 22, 2018-Jan. 26, 2018 | 8 p.m. - 11 p.m.
Jan. 23, 2018-Jan. 27, 2018 | 8 p.m. - 11 p.m.
Jan. 24, 2018-Jan. 28, 2018 | 8 p.m. - 11 p.m.
Jan. 25, 2018-Jan. 29, 2018 | 8 p.m. - 11 p.m.
Jan. 26, 2018-Jan. 30, 2018 | 8 p.m. - 11 p.m.
Jan. 29, 2018-Feb. 2, 2018 | 8 p.m. - 11 p.m.
Jan. 30, 2018-Feb. 3, 2018 | 8 p.m. - 11 p.m.
Jan. 31, 2018-Feb. 4, 2018 | 8 p.m. - 11 p.m.
Feb. 1, 2018-Feb. 5, 2018 | 8 p.m. - 11 p.m.
Feb. 2, 2018-Feb. 6, 2018 | 8 p.m. - 11 p.m.
Feb. 5, 2018-Feb. 9, 2018 | 8 p.m. - 11 p.m.
Feb. 6, 2018-Feb. 10, 2018 | 8 p.m. - 11 p.m.
Feb. 7, 2018-Feb. 11, 2018 | 8 p.m. - 11 p.m.
Feb. 8, 2018-Feb. 12, 2018 | 8 p.m. - 11 p.m.
Feb. 9, 2018-Feb. 13, 2018 | 8 p.m. - 11 p.m.
Feb. 12, 2018-Feb. 16, 2018 | 8 p.m. - 11 p.m.
Feb. 13, 2018-Feb. 17, 2018 | 8 p.m. - 11 p.m.
Feb. 14, 2018-Feb. 18, 2018 | 8 p.m. - 11 p.m.
Feb. 15, 2018-Feb. 19, 2018 | 8 p.m. - 11 p.m.
Feb. 16, 2018-Feb. 20, 2018 | 8 p.m. - 11 p.m.
Feb. 19, 2018-Feb. 23, 2018 | 8 p.m. - 11 p.m.
Feb. 20, 2018-Feb. 24, 2018 | 8 p.m. - 11 p.m.
Feb. 21, 2018-Feb. 25, 2018 | 8 p.m. - 11 p.m.
Feb. 22, 2018-Feb. 26, 2018 | 8 p.m. - 11 p.m.
Feb. 23, 2018-Feb. 27, 2018 | 8 p.m. - 11 p.m.
Feb. 26, 2018-March 2, 2018 | 8 p.m. - 11 p.m.
Feb. 27, 2018-March 3, 2018 | 8 p.m. - 11 p.m.
Feb. 28, 2018-March 4, 2018 | 8 p.m. - 11 p.m.
March 1, 2018-March 5, 2018 | 8 p.m. - 11 p.m.
March 2, 2018-March 6, 2018 | 8 p.m. - 11 p.m.
March 5, 2018-March 9, 2018 | 8 p.m. - 11 p.m.
March 6, 2018-March 10, 2018 | 8 p.m. - 11 p.m.
March 7, 2018-March 11, 2018 | 8 p.m. - 11 p.m.
March 8, 2018-March 12, 2018 | 8 p.m. - 11 p.m.
March 9, 2018-March 13, 2018 | 8 p.m. - 11 p.m.
March 12, 2018-March 16, 2018 | 8 p.m. - 11 p.m.
March 13, 2018-March 17, 2018 | 8 p.m. - 11 p.m.
March 14, 2018-March 18, 2018 | 8 p.m. - 11 p.m.
March 15, 2018-March 19, 2018 | 8 p.m. - 11 p.m.
March 16, 2018-March 20, 2018 | 8 p.m. - 11 p.m.
March 19, 2018-March 23, 2018 | 8 p.m. - 11 p.m.
March 20, 2018-March 24, 2018 | 8 p.m. - 11 p.m.
March 21, 2018-March 25, 2018 | 8 p.m. - 11 p.m.
March 22, 2018-March 26, 2018 | 8 p.m. - 11 p.m.
March 23, 2018-March 27, 2018 | 8 p.m. - 11 p.m.
March 26, 2018-March 30, 2018 | 8 p.m. - 11 p.m.
March 27, 2018-March 31, 2018 | 8 p.m. - 11 p.m.
March 28, 2018-April 1, 2018 | 8 p.m. - 11 p.m.
March 29, 2018-April 2, 2018 | 8 p.m. - 11 p.m.
March 30, 2018-April 3, 2018 | 8 p.m. - 11 p.m.
April 2, 2018-April 6, 2018 | 8 p.m. - 11 p.m.
April 3, 2018-April 7, 2018 | 8 p.m. - 11 p.m.
April 4, 2018-April 8, 2018 | 8 p.m. - 11 p.m.
April 5, 2018-April 9, 2018 | 8 p.m. - 11 p.m.
April 6, 2018-April 10, 2018 | 8 p.m. - 11 p.m.
April 9, 2018-April 13, 2018 | 8 p.m. - 11 p.m.
April 10, 2018-April 14, 2018 | 8 p.m. - 11 p.m.
April 11, 2018-April 15, 2018 | 8 p.m. - 11 p.m.
April 12, 2018-April 16, 2018 | 8 p.m. - 11 p.m.
April 13, 2018-April 17, 2018 | 8 p.m. - 11 p.m.
April 16, 2018-April 20, 2018 | 8 p.m. - 11 p.m.
April 17, 2018-April 21, 2018 | 8 p.m. - 11 p.m.
April 18, 2018-April 22, 2018 | 8 p.m. - 11 p.m.
April 19, 2018-April 23, 2018 | 8 p.m. - 11 p.m.
April 20, 2018-April 24, 2018 | 8 p.m. - 11 p.m.
April 23, 2018-April 27, 2018 | 8 p.m. - 11 p.m.
April 24, 2018-April 28, 2018 | 8 p.m. - 11 p.m.
April 25, 2018-April 29, 2018 | 8 p.m. - 11 p.m.
April 26, 2018-April 30, 2018 | 8 p.m. - 11 p.m.
April 27, 2018-May 1, 2018 | 8 p.m. - 11 p.m.
April 30, 2018-May 4, 2018 | 8 p.m. - 11 p.m.
May 1, 2018-May 5, 2018 | 8 p.m. - 11 p.m.
May 2, 2018-May 6, 2018 | 8 p.m. - 11 p.m.
May 3, 2018-May 7, 2018 | 8 p.m. - 11 p.m.
May 4, 2018-May 8, 2018 | 8 p.m. - 11 p.m.
May 7, 2018-May 11, 2018 | 8 p.m. - 11 p.m.
May 8, 2018-May 12, 2018 | 8 p.m. - 11 p.m.
May 9, 2018-May 13, 2018 | 8 p.m. - 11 p.m.
May 10, 2018-May 14, 2018 | 8 p.m. - 11 p.m.
May 11, 2018-May 15, 2018 | 8 p.m. - 11 p.m.
May 14, 2018-May 18, 2018 | 8 p.m. - 11 p.m.
May 15, 2018-May 19, 2018 | 8 p.m. - 11 p.m.
May 16, 2018-May 20, 2018 | 8 p.m. - 11 p.m.
May 17, 2018-May 21, 2018 | 8 p.m. - 11 p.m.
May 18, 2018-May 22, 2018 | 8 p.m. - 11 p.m.
May 21, 2018-May 25, 2018 | 8 p.m. - 11 p.m.
May 22, 2018-May 26, 2018 | 8 p.m. - 11 p.m.
May 23, 2018-May 27, 2018 | 8 p.m. - 11 p.m.
May 24, 2018-May 28, 2018 | 8 p.m. - 11 p.m.
May 25, 2018-May 29, 2018 | 8 p.m. - 11 p.m.